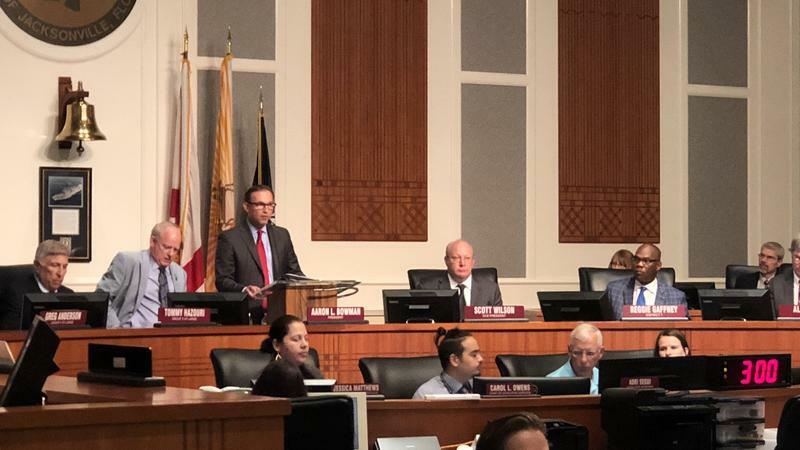 Jacksonville Mayor Lenny Curry presented a $1.2 billion budget to City Council Monday. As he’s said during his past three budget presentations, public safety and the city’s youngest residents continue to be his top priorities. Curry’s proposed spending plan would increase Jacksonville Sheriff's Office funding by $30 million, which he said will, in part, create what he called a “real-time crime center.” Curry said new computer software could help solve crimes faster. An email from JSO says the center will incorporate data from multiple technological systems, some already used and others new, to give officers better information. The budget also funds four new positions dedicated to monitoring the center's programs and getting officers the data. “If there is one violent crime in Jacksonville — one violent crime — that is one too many. So gangs and criminals must be confronted with a well-trained, properly equipped police force,” Curry said Monday. Funding for officer-worn body cameras isn’t in the budget because JSO will use a nearly $1 million federal grant to start using them in October. Curry wants to pump up the budget for the Fire and Rescue Department by $17 million to hire more people, build a fire station in the area of Atlantic Boulevard and St. Johns Bluff Road, and base rescue units at every station. 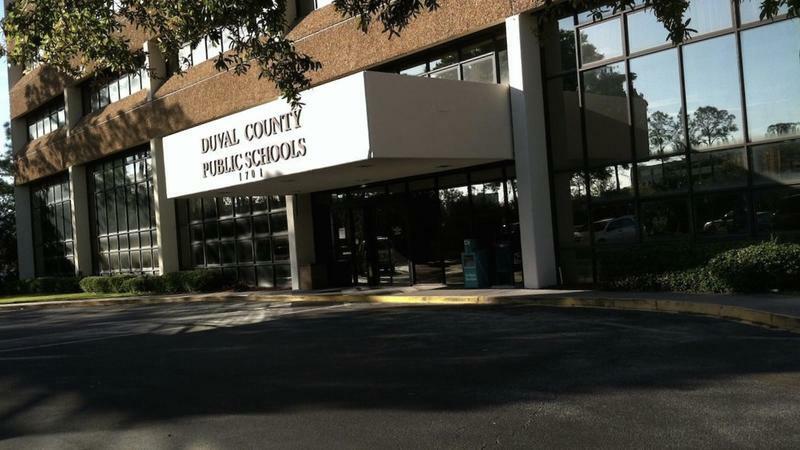 For kids, Curry highlighted the city’s partnering with the Duval County School District and United Way of Northeast Florida to hire 60 additional school therapists. That’s as state law now requires schools to offer more mental health resources after February’s South Florida school shooting. Curry also touted a proposed capital improvement plan of $161.4 million. Around $2.75 million would be used for adding crosswalks and other pedestrian safety improvements. More than $12 million would go toward road resurfacing. He’s also proposing increased library funding and a plan for infrastructure and equipment improvements at UF Health Jacksonville over six years. He also wants the city to pay $12.5 million with a equal match from the state to start demolishing the Hart Bridge ramp into downtown to make way for an entertainment area next to the Jaguars stadium. He’s asking City Council to devote $2.5 million to restore neglected African-American cemeteries, which he said are in “shameful conditions.” He said he plans to fund their restoration over three years at a total cost of $10.9 million. The Medical Examiner’s Office budget is also getting about a 14 percent increase. The office wants to add a new forensic investigator and clerical support aide. Medical Examiner Valerie Rao, who is set to retire this summer, has been asking for a new building as bodies sometimes outnumbered the 45 spaces for them. That led City Council early this year to approve a temporary fix: an outdoor walk-in morgue cooler that almost doubled the number of body trays. Curry’s budget sets aside $500,000 for the land acquisition and site prep of a new Medical Examiner’s Office, but construction wouldn’t start until 2021. And over five years, he wants $5 million spent annually on the city-owned zoo, with the zoo’s providing an equal match. Curry’s proposed budget now goes to the City Council for consideration. The Council must approve a budget before October 1. Story updated with information from JSO.